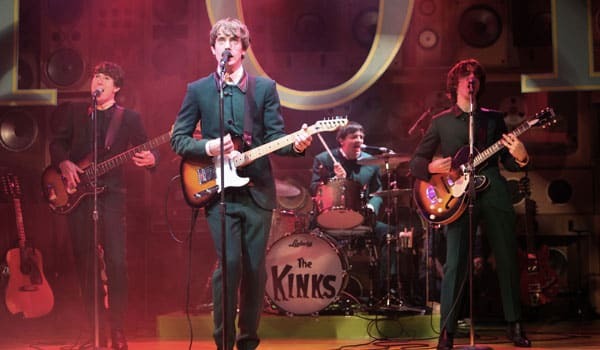 Following a run of more than two years in London’s West End, Sunny Afternoon – The Kinks Musical will end its run at the Harold Pinter Theatre on 29 October 2016. The critically-acclaimed musical Sunny Afternoon tells the story of the early life of Ray Davies and the rise to stardom of The Kinks. It has established itself as a firm favourite with audiences and critics alike since it opened at the Harold Pinter Theatre in October 2014. Sunny Afternoon starts touring the UK on 19 August 2016 at Manchester Opera House. Sunny Afternoon was the best performing show at the 2015 Olivier Awards, winning four awards including Best New Musical. Ray Davies won for Outstanding Achievement in Music. Fifty years ago this year, The Kinks were sitting at Number One in the UK charts with their single ‘Sunny Afternoon’. The band’s popularity has not faded since the 1960s, with crowds of all ages filling the Harold Pinter Theatre night after night. Featuring some of The Kinks’ best-loved songs, including You Really Got Me, Waterloo Sunset and Lola, Sunny Afternoon shows the music of The Kinks is still as popular as ever, more than 50 years since the band’s rise to fame.